You know the scoop. You're just rolling through the battlefield and then you see him, standing right in front of you. FN-2187. He plans to deliver some sensitive knowledge to The Resistance. He plans on ruining everything that you and The First Order have worked for. When you see him, you might just shout the word, "Traitor!" at him. You know that your fate is to best him in one on one combat, so how do you plan on doing that? Perhaps something with the flair of a lightsaber, but something that a Stormtrooper could use. Well, that's where this Star Wars Riot baton toy comes into play. 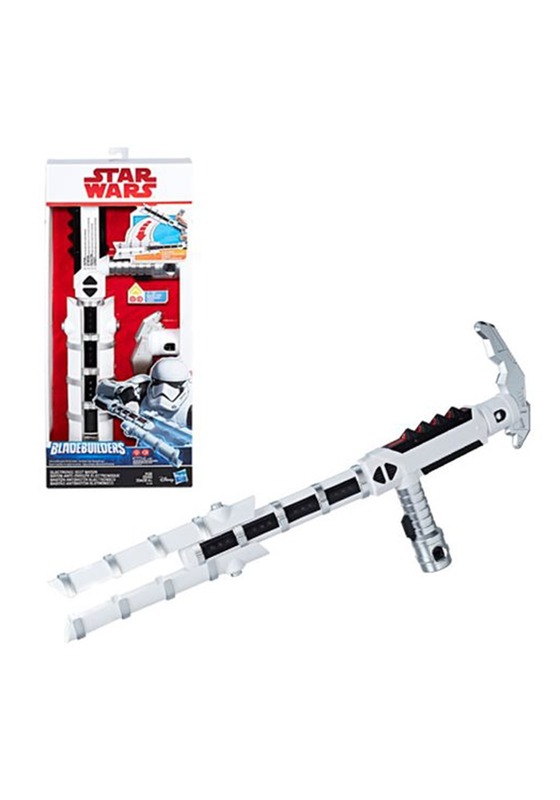 It's the signature weapon of THE Stormtrooper from Star Wars: The Force Awakens. You know which Stormtrooper we mean! This toy version is part of the Star Wars Bladebuilders series of toys and has a retractable end. Just equip yourself with this and you'll be ready for a battle when you catch sight of Finn on the battlefield. Be sure to pair this licensed costume up with one of our many Stormtrooper costumes to get the complete look from Star Wars. And if you see Finn, you'll be ready to brawl.